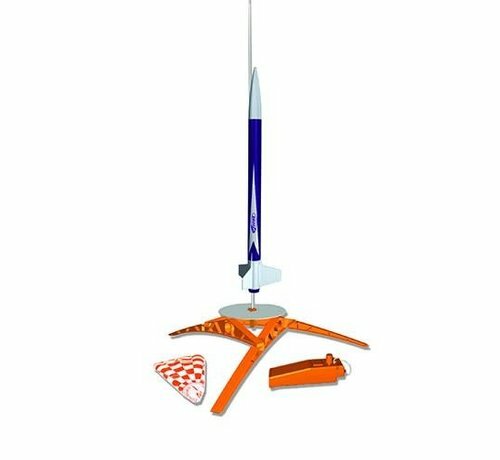 Join the thousands of people wanting a really cool quick building rocket! 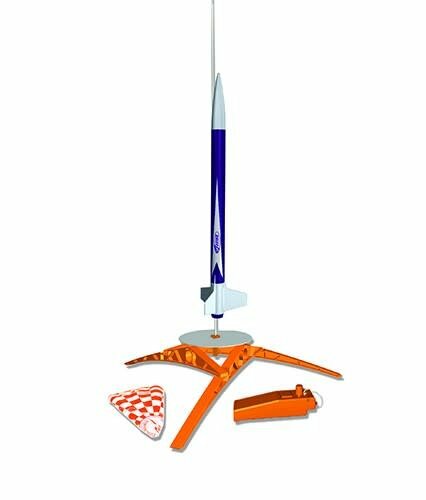 E2X (Easy to Assemble) is a rocket series designed with beginners in mind. 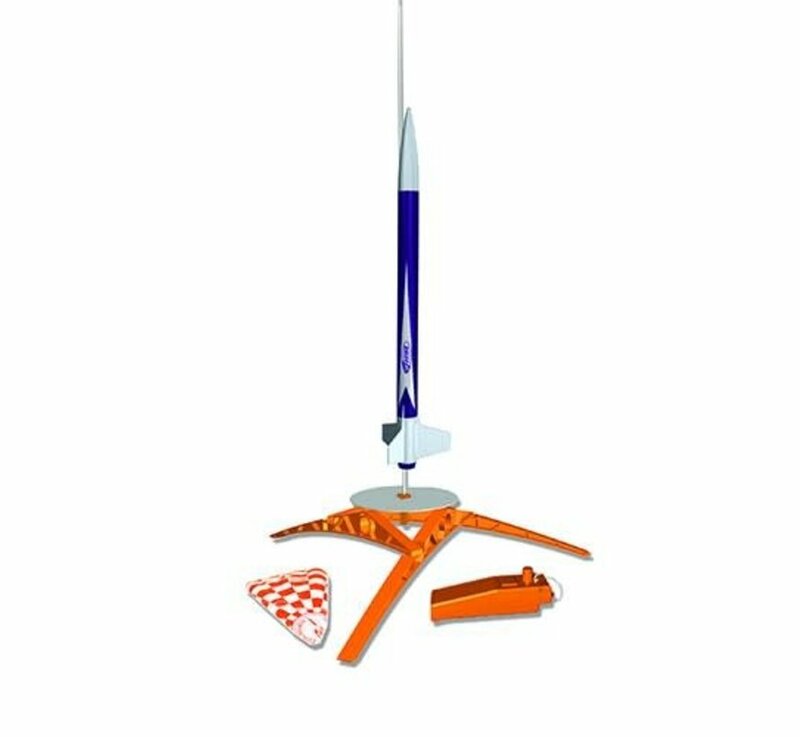 With all pre-colored rocket parts and easily applied self-stick decals, you're ready for liftoff in minutes. With nothing more needed than glue for this launch set, you can be on the flying field in no time at all! Using standard Estes engines (sold separately) the Silver Arrow soars to heights of 1125 feet. What more could you ask for than a high performance and high flying rocket!